Clinical impact of tissue protrusion (TP) after coronary stenting is still controversial, especially in patients with ST-segment elevation myocardial infarction (STEMI). A total of 104 STEMI patients without previous MI who underwent primary percutaneous coronary intervention (PCI) under intravascular ultrasound (IVUS)-guidance were included. Post-stenting grayscale IVUS analysis was performed, and the patients were classified according to the presence or absence of post-stenting TP on IVUS. 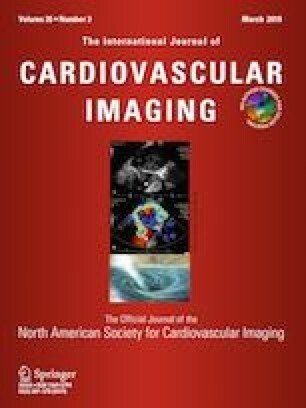 Coronary angiography and single-photon emission computed tomography myocardial perfusion imaging (SPECT MPI) with 99mTc tetrofosmin were analyzed. Major adverse cardiac events were defined as cardiovascular death, myocardial infarction, heart failure hospitalization, and target vessel revascularization. TP on IVUS was detected in 62 patients (60%). Post-PCI coronary flow was more impaired, and peak creatine kinase-myoglobin binding level was higher in patients with TP compared to those without. SPECT MPI was performed in 77 out of 104 patients (74%) at 35.4 ± 7.7 days after primary PCI. In patients with TP, left ventricular ejection fraction was significantly reduced (47.5 ± 12.0% vs. 57.6 ± 11.2%, p < 0.001), and infarct size was larger [17% (8–25) vs. 4% (0–14), p = 0.002] on SPECT MPI. During a median follow-up of 14 months after primary PCI, Kaplan–Meier analysis demonstrated a significantly higher incidence of major adverse cardiac events in patients with TP compared to those without. TP on IVUS after coronary stenting was associated with poor outcomes in patients with STEMI.